Soon after Mehta took over the reins of the company as CEO in 2013, HUL not only a saw a period of slow growth due to the economic slowdown, but it was also attacked by upstarts such as Patanjali, which ate into its market share across categories. 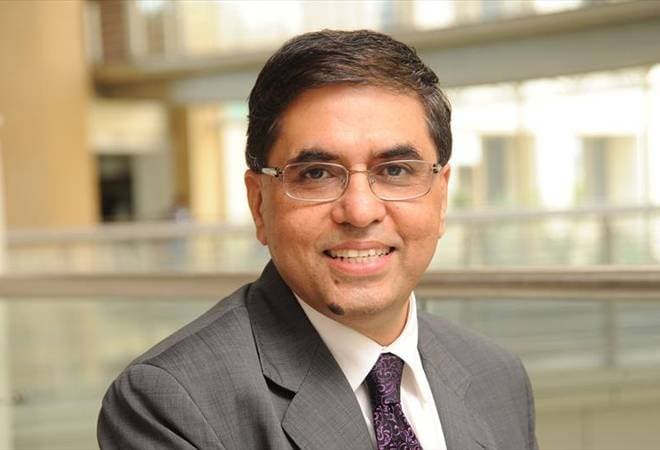 Sanjiv Mehta, Chief Executive Officer (CEO) of HUL, will be designated as the Chairman and MD of the country's largest FMCG company post the retirement of Harish Manwani. Soon after Mehta took over the reins of the company as CEO in 2013, the company not only a saw a period of slow growth due to the economic slowdown, but it was also attacked by upstarts such as Patanjali, which ate into its market share across categories. HUL was looked upon as an old fuddy-duddy MNC, unable to cope with the nimbleness and agility of the new entrants of the Indian FMCG industry. Mehta's immediate agenda was obviously to get the company back on growth track and draw up a formidable strategy to counter the upstarts, and he went about it by bringing in an entrepreneurial, growth-driven, fast and agile culture into the organisation. He empowered the youth and projected the organisation as young and vibrant. In fact, the big difference one gets to feel as one walks into the company's sprawling head quarters in Mumbai, is the informal culture, and the company's head honcho mingling at ease with all the employees no matter how junior they are. In an interview with Ajita Shashidhar, earlier this year, Mehta talked about how he inculcated a cultural change in the organisation in order to bounce back into growth mode. Here the excerpts. HUL is back on the growth mode. So, as an organisation, how have you evolved, what have you done differently? Last year, we set up country category business teams (CCBT) coming from the philosophy that the big will not beat the small, the fast, the agile and the nimble will beat the slow. So while we may be the largest FMCG company in the country by a distance, we want to have the soul of a small company, the swiftness, and agility of a small company. About three years back we started what is called 'Winning in many Indias', we realised that India is not a homogenous country. The languages are different, the culture is different, the category penetration is different, and the competitive context is different. So, you need to have strategies that are for many Indias. We broke up India into 14 clusters and devolved lot of authority to the clusters. And then we brought about a change at the head office on how we run the business. We needed speed, agility, foresight to look at innovations, disruptions, and capabilities, and, of course, talent going into the future. So, we set up 15 category business teams (laundry, skincare, oral care etc) led by young general managers. They have virtually got a board around them. They have a R&D resource, a supply chain resource, a finance resource, sales resources, just like my core team, and they are fully empowered to deliver for their BU. My job is to ensure that the complete empowerment remains and we mentor and coach them. The need was to become fast and agile. On one hand, we broke up India into consumer clusters so that we could tune our strategy based on different clusters. There is nothing like a pan-Indian strategy. For a big company like ours it would be a fatal mistake to have one strategy. The collateral benefit of this move is that it has freed my leadership team to look at bigger issues. Where can disruption come from, what are the capabilities we need to create growth, what kind of talent we would be need, we are in the process of defining the firm of the future. We are able to focus our energy on larger issues by leaving the Indian performance on the wonderful people who are extremely motivated by this change. Can you give us a few examples of the outcome of your fast and agile work culture? Lever Ayush from concept to roll-out was done in nine months. It wouldn't have been possible had we been designed in the earlier way. I have been able to reduce the innovation time across functions. Similarly, demonetisation didn't impact the entire country in a similar fashion, where the banking penetration was low, the impact was severe. In modern trade, the impact was much lower. As we were organised the WIMI way and CCBT on the other, our ability to take decisions was very quick. We needed to pass on the benefits of GST to our consumers. Everything was done in a clockwork and smooth manner. I attribute a lot to these two organisation changes that we have done. Besides unleashing the energy of people, you need to empower your people, you need to tell them I trust you, tell them it doesn't matter if you make mistakes. The other big cultural change that we have made in the business is the culture of experimentation. We come from a very clear belief that success is not the opposite of failure as long as you keep learning from failures. They are two sides of the same coin. Business is about risks, risk entails failures. Speed, agility and risk-taking have to go together. If you are risk averse, you can't be fast and agile. The culture of experimentation has to move with the way we have evolved the organisation. We have 25 experiments running in the company, which in the next few years would redefine the way we create value in HUL. These are all tech driven, analytics, robotic and all being done by young teams. Our job is to remove the hurdles, and create an enabling environment where they can flourish, and if they stumble, we have anchors who bring in experience to the floors. What's going to be your growth mantra in the coming years? We have a 4G mantra of growth - consistent growth, profitable growth, competitive growth, and responsible growth. The markets will never grow in a linear fashion in a country like India, where there frequent droughts, floods, there are policy changes, also external changes have an impact on India. Growth is a mindset. Before you win in the market place, you have to win the battle of mind and when you have the 4G mantra enshrined in the minds of people, you come from a belief that every challenge we can convert into an opportunity. That was the mindset we brought in when we were dealing with demonetisation or we were dealing with GST, and that's made a difference. What's your take on Goods and Services Tax? The GST brings about a level playing field. One of the primary purposes of the GST was that you should bring more businesses into the tax net. A level playing field will always be beneficial for a company like ours. With the barriers going out, we will be able to bring in huge amounts of supply chain efficiency. We don't need 41 distribution centres in the country, we will need much fewer. Also, the GST has reduced the time taken to transfer goods from, say, Assam to Chennai with no barriers on the way. What we first did is pass on the whole benefit of the GST to the consumers. We were amongst the first companies to do that, we were also among the first to advertise that widely. Not only did we advertise, we also attributed it to the GST. It was important that when the government reduced the price, the benefit was passed on to the consumers. GST 2.0, which is the November 15 price reduction, we got a few days notice to bring down the prices. Wherever, it took us longer time to get the new artworks, new cylinder, new packaging material, during the period when we sold at a higher price with the lower GST, that money unilaterally we offered it to the government. We have offered Rs 119 crore to the government. Now that you have category specific teams, will it enable you to think more local? Absolutely. HUL always came from a simple but profound belief that what is good for India is good for Hindustan. So, we align ourselves with the national agenda. There is nothing like a global consumer. A consumer is always local. You have to understand the local consumer to meet their needs. Our CCBTs will make us closer to our consumers and second it will enable us to significantly enhance the speed in the organisation. Have bigger companies benefitted post the GST? It is not about bigger, organised players, but the era of tax evasion is slowly coming to an end. That's the right thing to be done. Apart from cheaper products what are the other benefits you are going to offer to consumers post the GST? We spent huge amount of resources understanding the consumers and their needs. Innovation is the life-blood of an FMCG company. You have to keep renovating and innovating, and for us it's not the existing portfolio, which we keep working on to strengthen. But importantly, we are also future-proofing our portfolio by bringing in segments of the future. We are also spending huge amounts of resources in what we call market development, which will make a big difference getting into the future. Our growth journey is not about just stealing market share, our growth journey is about is about growing the pie. Will that mean coming up with new products apart from reaching out to more people?